The central argument is that suicide is often an escape from self that is from meaningful awareness of certain symbolic interpretations or implications about the self. However, concluding simply that depression causes suicide and leaving it at that may be inadequate for several reasons. It is abundantly clear that most depressed people do not attempt suicide and that not all suicide attempters are clinically depressed. Baumeister argues that an unsuccessful attempt at suicide may achieve the goal of escape almost as well as a completed suicide, at least in the short run, and in the suicidally deconstructed state, the short run is all that seems to matter. There are six main steps in the escape theory. First a severe experience that current outcomes (or circumstances) fall far below standards is produced either by unrealistically high expectations or by recent problems or setbacks, or by both. Second, internal attributions are made so that these disappointing outcomes are blamed on the self and decrease negative implications about the self. Third., an aversive state of high self awareness comes from comparing the self with relevant standards (in connection with self blame for recent disappointments) the individual is thus acutely aware of self as inadequate, incompetent, unattractive, or guilty. Fourth, negative affect arises from the unfavorable comparison of self with standards. Fifth, the person responds to this unhappy state by trying to escape from meaningful though into a relative numb state of cognitive deconstruction. This escape is not fully successful, however, and so the individual desires increasingly strong means of terminating the aversive thoughts and feelings (i.e., suicidal thinking). Sixth, the consequences of the deconstructed mental state include a reduction of inhibitions which may contribute to an increased willingness to attempt suicide (i.e., decreased appetite, lost of interest in pleasurable activities, decrease in weight, etc). Suicide thus emerges as an escalation of the person’s wish to escape from meaningful awareness of current life problems and their implications about the self (i.e., the person thinks that life is too much and the only way out of this is to seek oblivion by killing oneself). Suicide may arise either because stands are unrealistically high or because event are unusually bad (or both). The result is that is it not just recent events but the self that is perceived as falling short of expectations. According to escape theory, the main appeal of suicide is that it offers oblivion. Suicide becomes appealing when the troubling thoughts, feelings and implications are neither adequately shut out by cognitive deconstruction nor removed by consoling high level interpretations. Deconstruction tends to eliminate all emotions whereas any return to meaningful or integrative thought will recall the negative affect thus positive affect will be least apparent. Cantor was lead to characterize suicidal people as having strong need for affiliation, succorance, and nurturance. (These same needs are a part of Shneidman’s (1996) idea that blocked needs results in suicide attempt. Shneidman also believes that psychache, perturbation, and press all converge to bring about suicidal thinking. With the absence of these needs, suicide is likely to occur). Thus the suicidal person is not a true introvert or loner but rather someone whose strong desires and expectations for intimacy are being disappointed. It is perhaps not surprising that low self-esteem (or even loss of esteem) should be found among suicidal people. Neuringer’s (1974) findings support the view that suicide arises from a combination of unusually high standards (evidenced by ratings of others) and negative attributions about the self. Truly suicidal persons are more self aware than people imagine them to be. Depression has been associated with a tendency to become highly self-aware after failure and it too has been associated with suicidal tendencies. However, depression is not a cause of suicide as there are many people who live unhappy lives but do not think of taking their life (Shneidman 1996). On the basis of the indirect evidence, one may tentatively conclude that people who would normally tend to be self-aware are indeed more prone to attempt suicide but direct evidence of a self focused state before suicide is limited. Escape theory emphasizes that aversive awareness that oneself falls short of personal and social standards. 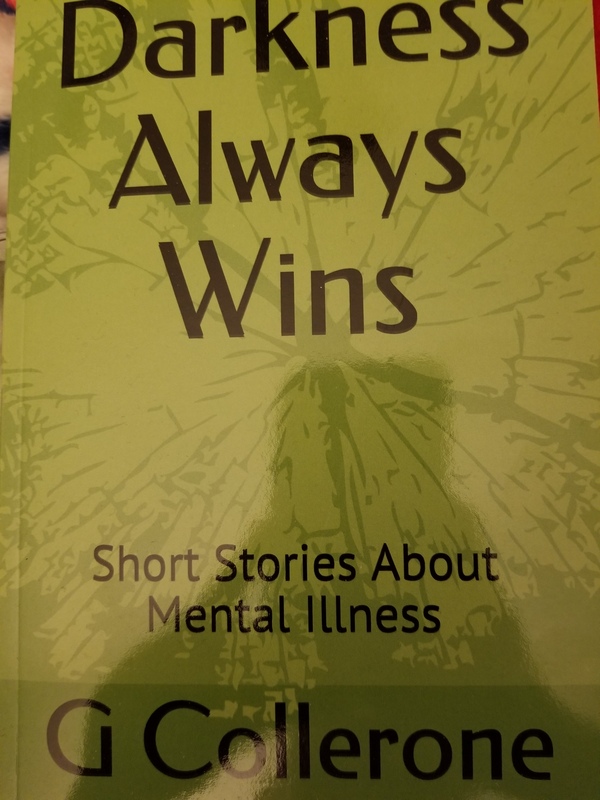 It is reasonably clear that presuicidal individuals do regard themselves as falling short in that way but the evidence currently available is not adequate to say that they often think about these personal failures and inadequacies. Meiges and Weisz (1971) found that reminiscing about past suicide attempts generated negative affect although control subjects show similar negative reactions to the task. Guilt can be considered one major form of anxiety. Several studies have associated high levels of guilt with suicidal tendencies. Hendin (1982) observed that many suicidal alcoholics felt guilty about letting people down, and concluded that guilt “is central to the desire to end their lives” (p139). 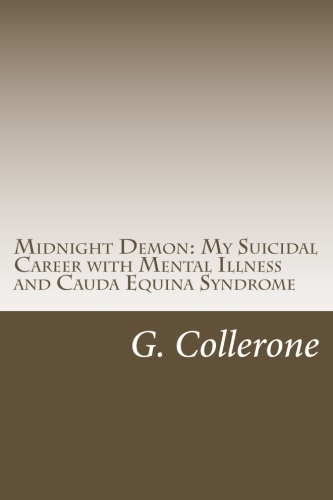 Suicidal guilt has been interpreted psychodynamically as a wish for punishment. It is plausible, though, that guilt does motivate desires to escape from self-awareness. Feeling lonely or feeling like a failure are the most common feelings reported by suicidal people preceding the suicide attempt, but these are not necessarily emotions. Sadness is commonly observed as well. In addition, many people say that the period preceding the suicide attempt was filled with worry (possibly worry about failing to succeed and feeling intense guilt). Anger is reported to have been the main effect preceding suicide in about one third of the cases in several samples. Neuringer and Harris (1974) reported that suicidal people found it more difficult than various control groups to think about the future. These findings fit with Baumeister’s argument that suicidal individual’s past is associated with aversive affect, which leads to the attempt to focus narrowly on the present, which in turn prevents thinking about the future (this is a central element of suicidal thinking. Most suicidal individuals will not think they have anything to live for (in the future) and will use suicidal as their way to end the pain. The “what’s the use” comes into play. No perceived future will always lead to suicidal thinking which leads to hopelessness). Although depression has frequently been linked to suicide, analyses show that hopelessness is more predictive of suicide than depression. In fact, controlling for hopelessness eliminates the predictive relation between depression and suicide which is consistent with the causal pathway proposed in escape theory. According to learned helplessness theory and related views, past failures often lead the person to expect future failures. According to escape theory, the inability to anticipate a “happy” future causes a reluctance to contemplate any future. The cognitive narrowing involved in the deconstructive shift is an attempt to avoid thinking that past failures and misfortunes entail future misery. Shneidman (1981) coined the term “tunnel vision” or constriction to refer to the narrow concrete focus of the psychological state preceding a suicide attempt, often reflected in the banal and barren content of suicide notes. The hopelessness data cited suggest that suicidal people lack realistic long-term goals. (I disagree. I always wanted to be a doctor but the only things that have prevented this from happening is my mental illness and the lack of financial resources for my education). It is not that a rigid personality predisposes one to suicide rather rigidity is part of an effort to cope with a life crisis (Shneidman, 1981). Suicide is one way of stopping thoughts. Cognitive control is another, more desirable and adaptive means of achieving the same goal. 88% of suicidal subjects described the suicide attempt in terms that clearly reflected mere impulses (e.g., lack of adequate planning, saying attempt “was just on impulse”)…this fits with the escape theory, impulsiveness only reflects the disinhibition produced by the presuicidal, deconstructed state rather than being a stable personality trait. It seems more plausible to suggest that such gambles occur when people lose their normal inhibitions against life-threatening risks. This weakness may arise from the fact that many suicidal people were keeping much of their negative affect at bay by avoiding meaningful thought (or avoiding situations that caused them to reveal their true feelings when they are thinking about ending their life. This also is why some people will wonder why someone who looked and acted “normal and happy” are surprised to find that the person has attempted to end his life). A successful escape would therefore require more drastic measures, such as taking one’s own life. Cognitive functioning of suicidal people seem to fit a pattern of absence of emotion. Abundant evidence fits the view that suicide results from a combination of high standards or expectations and recent failures or setbacks. A variety of evidence supports the view that negative affect leads to suicide, although much of this evidence is indirect (i.e., suicides arises from life situations that generally produce negative affect). Depression may strengthen several links to the causal chain leading to suicide although it is not indispensable to the caudal process. The cry for help may oppose, coexist with, or even fit together with the desire to escape into suicide. Presuicidal state is defined as lack of future perspective, the concreteness, the high focus, and high standards of expectation of self. Escape theory’s contention is that the ability of the self to meet important standards is a cause of suicide. Durkheim’s (1897/1963) hypothesis of social integration has generally been regarded as a reasonable and accurate although incomplete, contribution to the theory of suicide. The notion of social integration is reflected in two steps in the escape theory. First, loss of social integration may constitute one of the stresses and setbacks that form the precipitating circumstances. Second, if one assumes anxiety and depression arise in response to actual or threatened exclusion from important social groups, than Durkheim’s contribution is especially relevant to escape theory’s hypothesis of negative affect. In short Durkheim’s social integration hypothesis first well into the escape theory. An earlier version of escape theory in which suicide was treated as a way of solving life problems. Hence the term from Quinnett, “suicide is a permanent solution to a temporary problem”. Suicidal people do not actually decide to kill themselves on the basis of rationalistic calculation. (in other words, they are mostly irrational when contemplating suicide). The positive appeal of suicide according to escape theory is chiefly that of oblivion. Unlike aggression theories, which posit catharsis or other aggressive pleasure as the principle satisfaction in suicidal acts, the escape theory emphasizes the appeal of losing consciousness. Pokorny and Kaplan (1976) found that suicidal people were distinguished by their inability to defend against or deal with aversive negative feelings about the self, connected with events that seemingly demanded substantial restructuring of one’s life (major life changes does not bode well with suicidal people). Normal inhibitions are disengaged and whatever thinking the person does maybe filled with irrationality and distortion, in this condition, suicidal behavior may appeal as an engrossing immediate activity that effectively removes one’s mind from the troubling thoughts and meanings while promising relief through oblivion. The irrationality and disinhibition make the person less and less prudent in evaluating techniques that will accomplish the overriding ends of stopping emotion, stopping meaningful thought about the implications of recent events or stopping meaningful self-awareness. Suicidal action accomplishes all these needs. Whether the attempt is successful may deprend on other irrelevant factors, including luck, competence with lethal means, and the strength of a competing wish to live. Escape theory is thus primarily concerned with the causes of suicide attempts, rather than their relative degree of success, except in so far as the outcome is affected by the strength of suicidal motivation. In many cases a suicide attempt may effectively stop one’s life and remove one from aversive circumstances at least temporarily (this is where the suicide attempt is cathartic. It means that the suicide attempt was able to stop the bad feelings and thus help make the person live again and doesn’t attempt again, for a while). When preparing for suicide one can finally cease to worry about the future. For one has effectively decided that there will be no future. The past, too, has ceased to matter, for it is nearly ended and will no longer cause grief, worry or anxiety. And the imminence of death may help focus the mind on the immediate present. Altogether, then, attempting to kill oneself may help the person to escape awareness of problematic life circumstances and inadequacies of self. The wish to die may arise from just such desires for escape. Even an unsuccessful attempt may provide an effective and powerful escape.